KARACHI: An additional district and sessions judge Friday issued bailable arrest warrants for the anchorperson of a private TV channels “for damaging the credibility of JS Bank and JS Group”. The bank submitted a written complaint in the court stating that the accused anchor gave false and concocted remarks about reputed JS Bank in a private TV channel’s programmes ‘Madd-e-Muqabil’ and ‘Breaking Views with Maalick’ for personal gains, under a conspiracy. 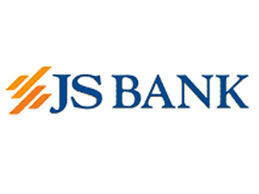 Airing of the programmes caused irreparable damage to the reputation of JS Bank and JS Group. The petitioner submitted that the accused conspired to create a wrong perception among the public that the JS Bank was involved in illegal activities and requested the court to take strict legal action against the accused.